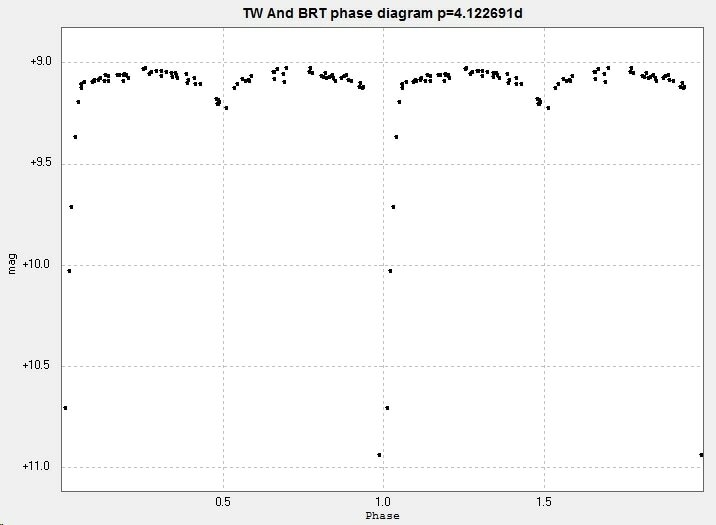 Light curve and phase diagram of the EA type eclipsing binary TW Andromedae. 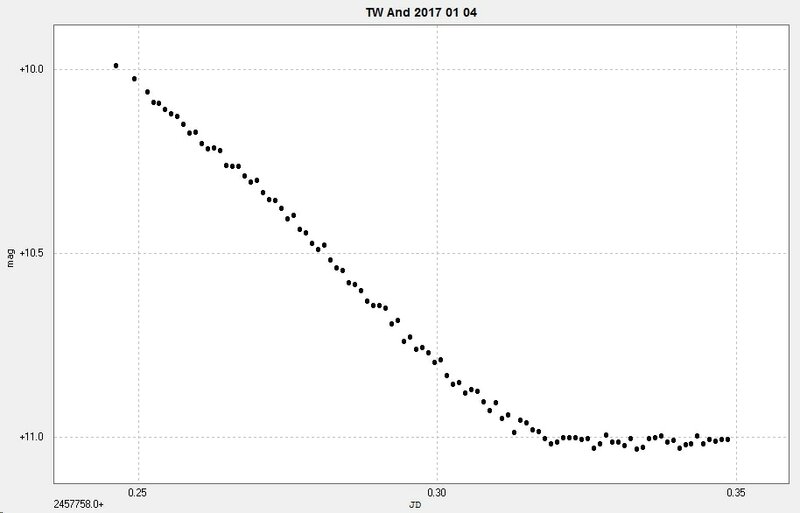 Photometry from 89 unfiltered images taken with the Bradford Robotic Telescope Cluster Camera between 8 July 2013 and 11 January 2016. Magnitudes have not been transformed. 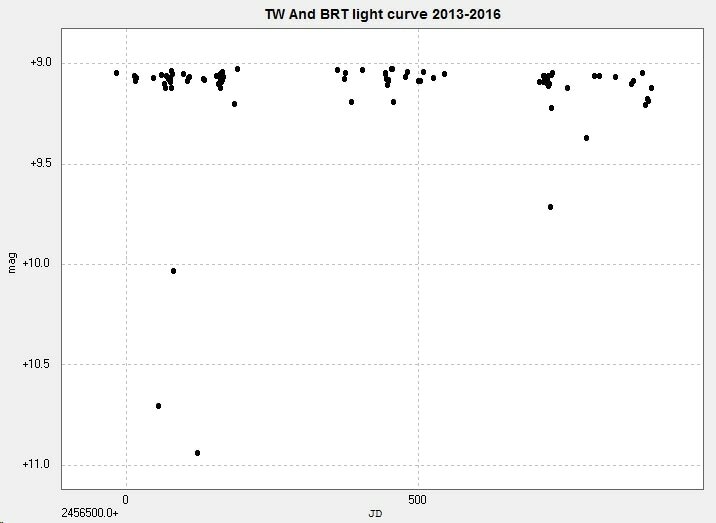 Combining the BRT and Somerby results produced the following light curve. None of the observations have been adjusted or transformed. ​These were combined into the following phase diagram. 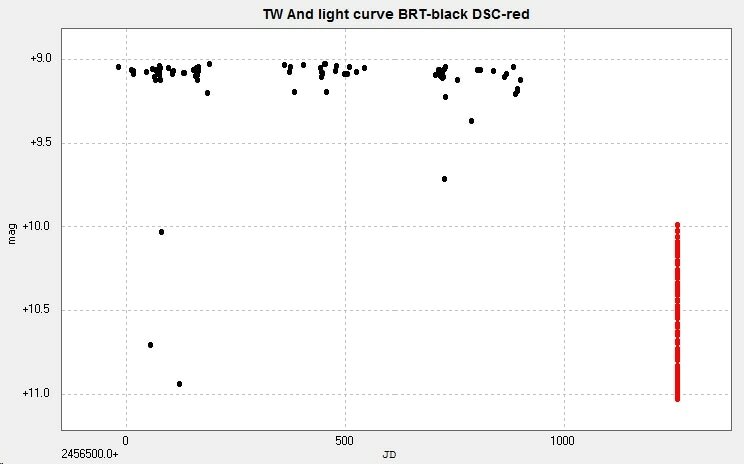 The period was determined 'by eye', as the best fit period suggested by the software resulted in less overlap between the two curves (the overlap consisting of one data point!). 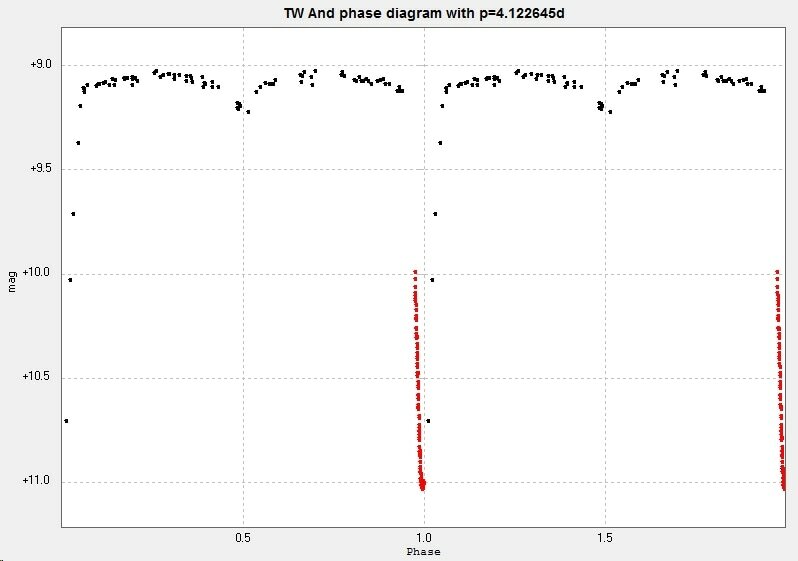 More observations from Somerby will hopefully be forthcoming to complete the primary minimum part of the phase diagram, and also the secondary minimum.